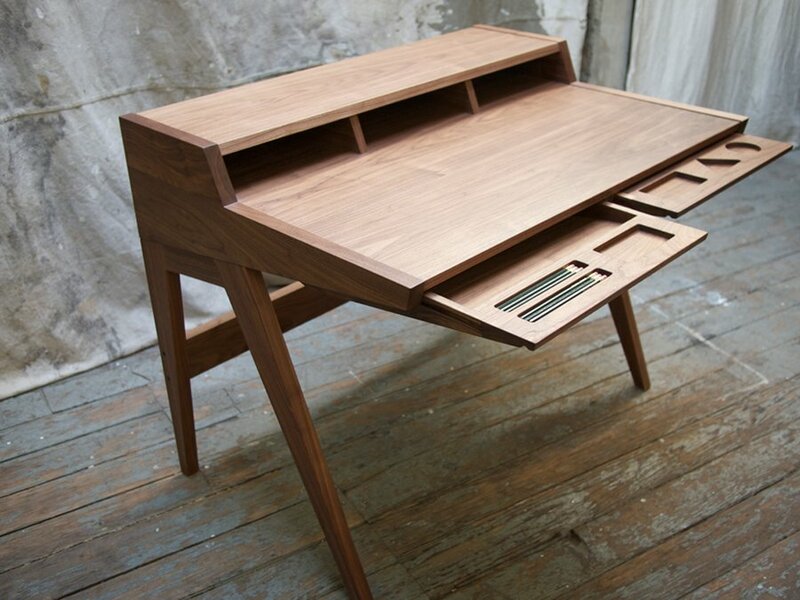 I love this desk by Phloem Studio. It looks like exactly the sort of place I'd like to sit down and draw some letters. 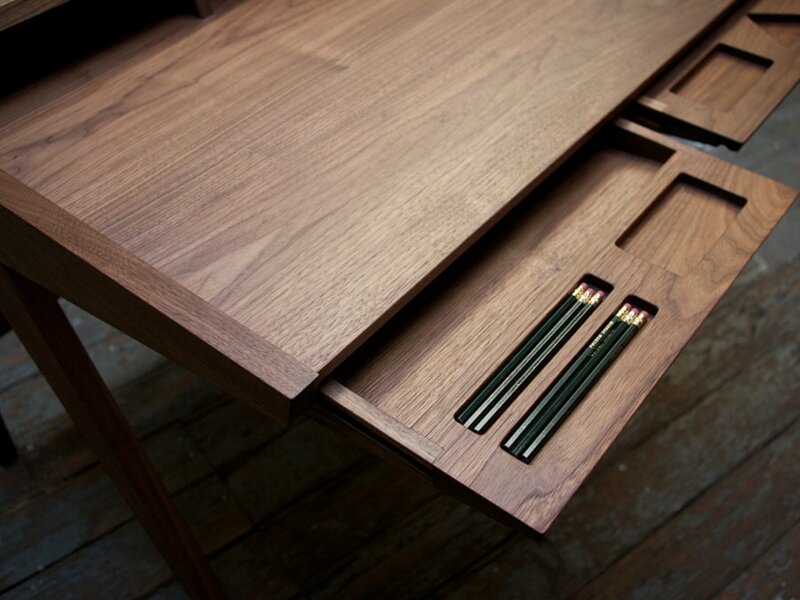 Openly inspired by the (still available) George Nelson Swag Desk, this Phloem design adds a certain sophistication. 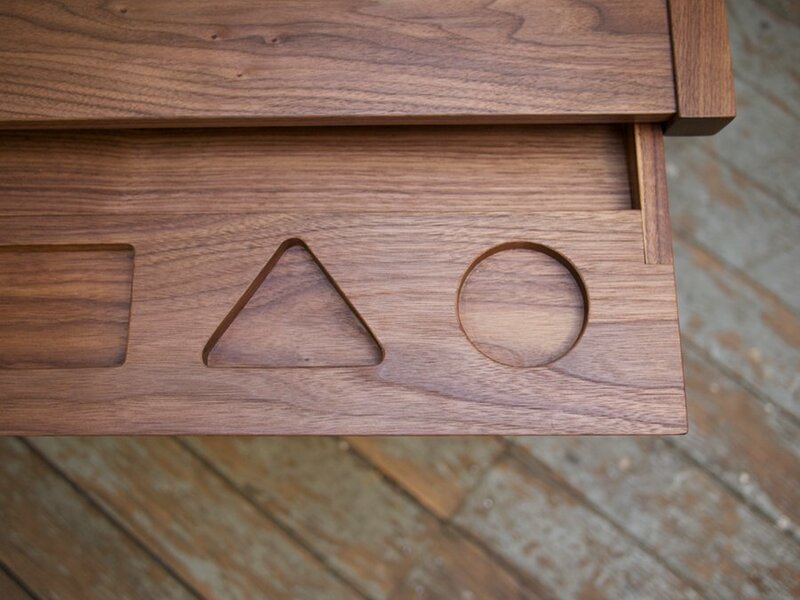 I love the contemporary shapes in the storage drawer, such as a hole cut to fit an iPhone. And if those aren't General Test Scoring 580 pencils, they certainly would be if I got my hands on this beautiful piece of furniture.